Almost anywhere it rains, it can flood. In the United States, floods are the number 1 natural disaster. Even if you live in an area that you think is not at risk, preparation is just as critical as it is with other types of emergencies. In fact, over 20% of all National Flood Insurance Program flood insurance claims are from people outside of mapped high-risk flood areas. It is important to note that flood damage is typically not covered by your homeowners or renters insurance. 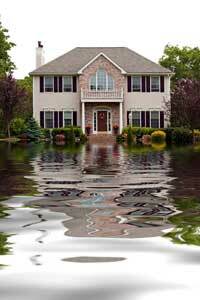 There are specialized flood insurance programs that we at Alliances Insurance Agency, LLC can discuss with you. Call or contact us today for more information. This coverage provides extra liability limits over an Umbrella policy. This coverage typically follows the terms of the first underlying insurance policy. Higher limits may be necessary for businesses with high loss potential, high profile, sizable sales, numerous assets, large auto fleets, worldwide presence, significant public exposure. Talk to ALLIANCES INSURANCE AGENCY, LLC today about your business operations and we can advise you what kind of liability coverage you need to protect yourself and your company. Just give us a call at (267) 614-4234 and we’ll help make sure you’re covered. What Should We Do During a Flood?